I think that by being a farmer you have a unique opportunity to give. To give a fundamental component to every day life. My Dad was a big believer in giving and was heavily involved in Farmers Against Hunger which is a program where farmers host gleanings (a gleaning where volunteers come pick through the fields after the farmer has picked what he/she needs). The food that is gleaned is then donated to churches, food pantries, and soup kitchens. I'm not on the scale where I can host mass gleanings but I still want to give in a way that I can. About 10% (48,000) people in Burlington County (the county that the farm is in) experience food insecurity. This number was really surprising and shocking to me. 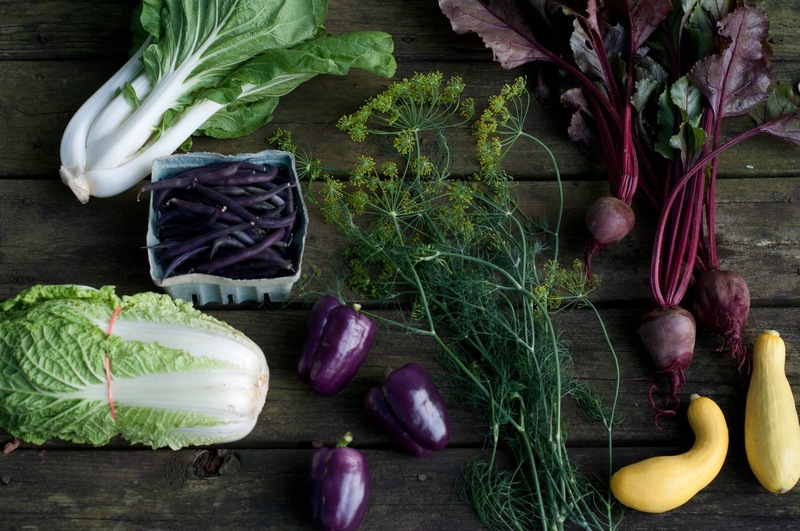 We offer a CSA program on our farm. And for those of you that don't know CSA stands for Community Supported Agriculture. I would like to reverse that for 2 families this season and offer a little Agriculture Supported Community. This season I want to do something small for these 2 families who would benefit from weekly veggies and I need your help to do so. Help me find these families! So here's what I want to do....I want to gift a Market CSA Share of $200 for them to use at the farm or at one of the tailgate markets we attend this season. Anyone who's interested themselves or if you would like to nominate someone, please send a short email saying why you or another family would like to be one of the 2 families to robsonsfarm@gmail.com with Market CSA in the subject line. Winners will not be disclosed. And you must use the $200 in one season, no balance will carry over. You will shop like all other Market CSA customers on farm or at a tailgate. Sounds like a wonderful idea! Nice thing to do. Good guide thanks for sharing this information with us. I really glad to read your helpful guide.